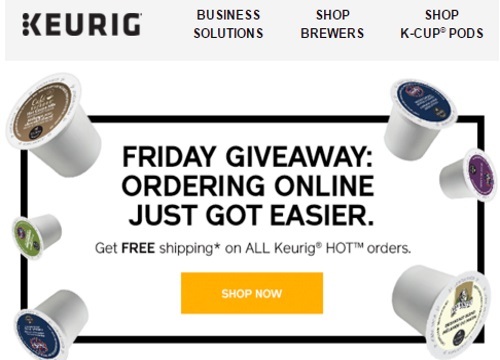 Keurig is offering Free Shipping on all Keurig hot orders! Offer applies on all orders from March 25-28, 2016. No promo code is needed. Click here to shop Keurig.